William “Billy” Thomas Allen, 71, passed away Friday, March 22, 2019 at Emory University Medical Center in Atlanta. He was born April 7, 1947 to Thomas Delbert Allen and Louise Deason Brillante. He lived in DeLand, Florida where he worked for the City of DeLand until making Glennville his home in 1979. 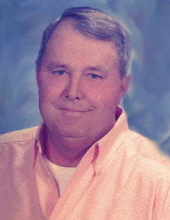 Billy was a Federal Game Warden at Ft. Stewart for many years and retired from DPW. He also employed with the Lyons Police Department, Glennville Police Department and Tattnall County Sheriff’s Department. He was an avid outdoorsman that loved to hunt and fish. He was a member of Watermelon Creek Baptist Church and is preceded in death by his parents, sisters and son, Greg Allen. Two Great Grandchildren, Canine Companion, Tripp, Several Nieces, Nephews and Cousins also survive. Visitation will begin at 5:00 pm, Sunday, March 24, 2019 at Brannen-Kennedy Funeral Home. Funeral Services will be held 11:00 am, Monday, March 25, 2019 at the chapel of Brannen-Kennedy Funeral Home with Rev. Steve Miller officiating. Burial will follow in the Glennville City Cemetery. To send flowers or a remembrance gift to the family of William "Billy" Thomas Allen, please visit our Tribute Store. "Email Address" would like to share the life celebration of William "Billy" Thomas Allen. Click on the "link" to go to share a favorite memory or leave a condolence message for the family.